The goal of Building Creative Capacity through Assessment for Learning in the Arts is to understand how arts teachers support student creativity in the classroom through assessment for learning (AfL) strategies. Assessment for learning is a type of continuous formative assessment that involves self-, peer-, and teacher-based feedback. The goal of AfL is to provide on-going evidence of student progress across learning periods, as opposed to assessment of learning, or summative assessment, which focuses on the end results. AfL strategies have been shown to improve student achievement, motivation, and positive self-esteem. We focus on AfL because it is currently emphasized in Ontario schools, where we are situated, and also because of its potential to support creative development in arts classrooms. We want to know what classroom strategies teachers are using on an on-going basis to encourage creativity in their students. It might be as simple as an informal discussion about a student’s creative process, or a detailed rubric that guides students’ thinking on a project. What do you mean by “creativity”? Creativity, in this case, is characterized by two essential components: the production of something original within a particular context, and the evaluation of its appropriateness and usefulness within that context (Cropley, 2006). 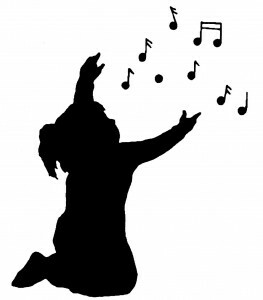 When looking at creativity in arts classrooms, we recognize “little c creativity,” that is, the creativity that all people including young students can demonstrate in their everyday tasks, in contrast to the “big C creativity” reserved for exceptional creators such as Stravinsky and Einstein (Craft, 1996). Creativity has recently emerged as a key 21st century competency and central learning objective for students across educational systems in Canada and elsewhere. Policy mandates and curriculum documents across Canada’s educational systems explicitly require the teaching and learning of creative skills for students in K-12 public education contexts. Given that it is possible for creativity to be learned (Csikszentmihalyi, 1996; Dweck, 2006; Lucas & Claxton, 2010), it follows that it is also possible to assess the development of creativity in ways useful to both learners and teachers (Lucas, 2016).